India’s Zika outbreak is spreading, with officials saying Sunday that the mosquito-borne virus has been detected in the western state of Gujarat after nearly 150 cases were reported this year in neighbouring Rajasthan. Health authorities in Gujarat said a woman tested positive for Zika and was treated at a state hospital in the capital Ahmedabad, the first confirmed case outside Rajasthan this year. “Only one case has been found so far. We are taking all precautions,” Gujarat Commissioner of Health, Jayanti Ravi, told AFP on Sunday. The state health department has rallied hundreds of doctors and medical personnel to perform emergency screenings for Zika, including more than 250 pregnant women with fevers. 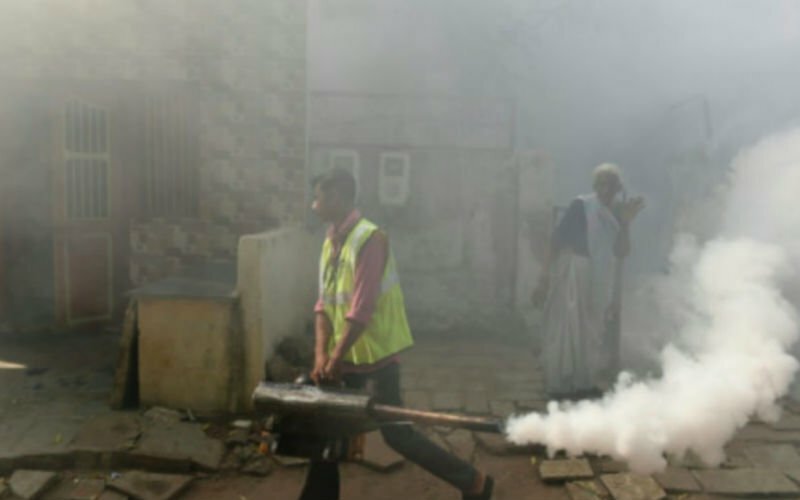 Gujarat, which borders Rajasthan to the south, has been fumigating public areas in an effort to kill the mosquitos that carry the diseases. Health authorities in Rajasthan have detected 147 cases of Zika since September, officials say. Almost 440,000 people were under surveillance in Rajasthan’s capital Jaipur last month. The Aedes aegypti mosquito, which carries Zika and other viruses like dengue fever, is widely prevalent in India. The country of 1.25 billion reported its first Zika cases in January 2017 in Gujarat but the latest case is the first in the state this year.